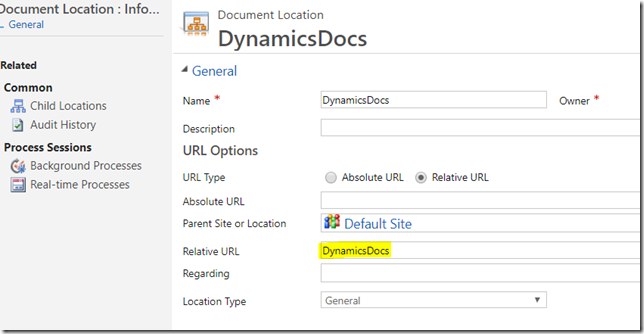 In one of the previous posts I used Microsoft Flow to create folders in SharePoint whenever a record is created in Dynamics/CDS. That was not extremely straightforward to me, but, at least, I did not have to fight with the authentication. 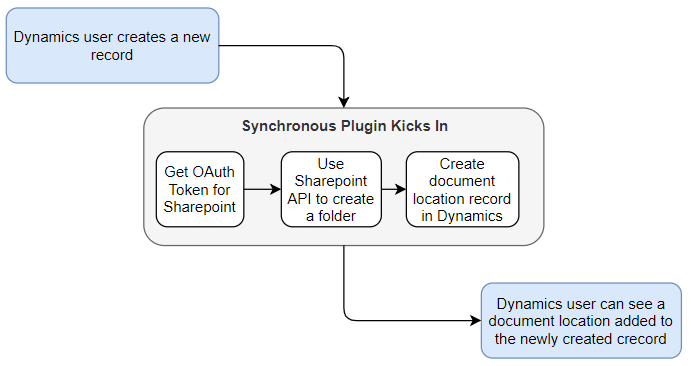 But, having done this, we’ve figured that we should still try a plugin instead (after all, a plugin could do everything synchronously, so it might be less confusing for Dynamics users). This turned out to be a much more monumental task since we did not really have a lot of experience with SharePoint API-s etc. This post is a result of those experiments. 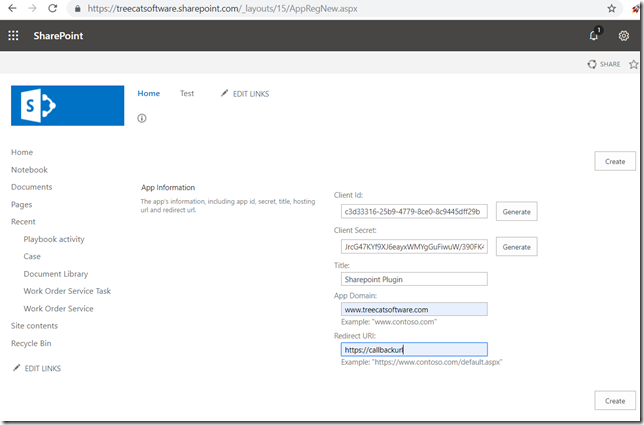 It’s not meant to explain all the intricacies of how SharePoint works, how OAuth works, etc. Basically, it’s going to be a step-by-step walkthrough, and, in the end, there is going to be sample source code. Of course that policy has been applied in our tenant.. Murphy’s law in action, I guess. So we needed a different solution. Keep in mind that, later on, you’ll be giving permissions to this add-in, so, depending on where you have installed it(site collection / site), you might be able to limit those permissions to the specific site. Make sure to copy the client secret and the client id – you’ll need those later. Hope I’ll be able to write another post soon to explain the plugin in more details, and, also, to add a few improvements..
1. 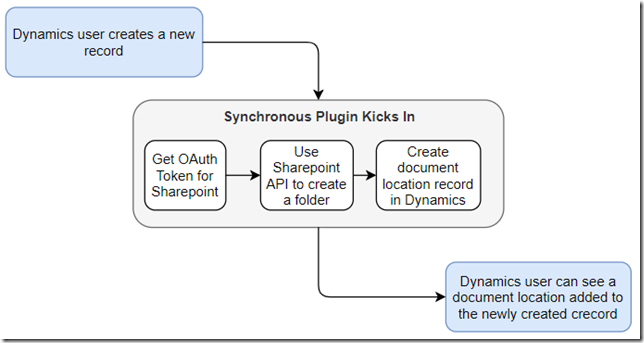 The sync plugin has to authenticate with SP and create the folders. Doesn’t this operation exceed the plugin execution time limits? 2. For the SharePoint operations, are you using any SharePoint specific DLLs such as the Microsoft.SharePoint.Client or SharePointPnP.Client? 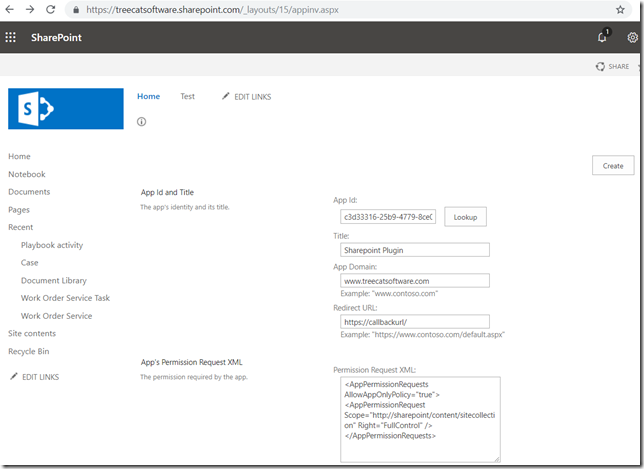 Hi Shidin, for #2 – the plugin is using SharePoint rest API, essentially from scratch (we don’t need much to create a folder), so there are no SharePoint libraries involved. It’s all done through the HttpClient. #1 – we’ll have to see how it works out. Getting a token does not take long, creating a single folder (that’s the purpose of the plugin) does not take long. How it holds under load(data migrations and/or data imports) is a good question. 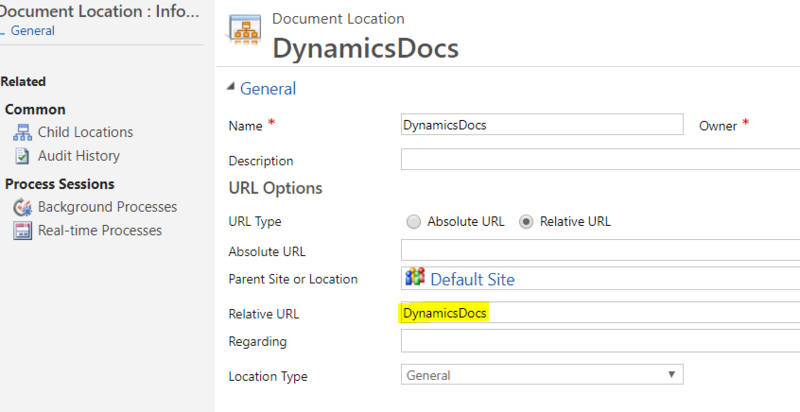 Although, I am wondering if we’d be able to use this approach to basically intercept default documentlocation “flow”(in which case we would not have to create documetn locations “on create”).. technically we probably could intercept document location creation in a different plugin, delete default sharepoint folder created for that location and create ours instead..